This week we put together a list of the best golf video games of all time. This list has an eclectic assortment of games all the way from the newer realistic looking The Golf Club series to the empire/tycoon style golf game Sid Meier’s SimGolf. If you have any that you think should have made the list, or any that you think shouldn’t have made the list, let us know in the comments below! The PGA Tour Golf video game series has a pretty long history. Electronic Arts started producing the series under their EA Sports label beginning all the way back in 1990. The Tiger Woods endorsed PGA Tour video games in this series began with the 99 PGA Tour Golf release. EA stopped releasing Tiger Woods PGA Tour Golf games after Tiger Woods PGA Tour 14 opting to replace Tiger with a different golfer for the next installment in the PGA Tour video game series. While under the Tiger Woods title, the PGA Tour Golf series became one of the best golfing video games of all time. While the Hot Shots Golf series is a little more cartoonish than the more realistic looking golf games on our list, it was still well received by gamers and critics alike. It was also known for its realistic ball physics. This series was produced by Sony for their PSP, VITA, and PS3 gaming platforms. The Golf Club is a fairly new golf game series. This series, however, brings modern social and custom content creation game features to the table. 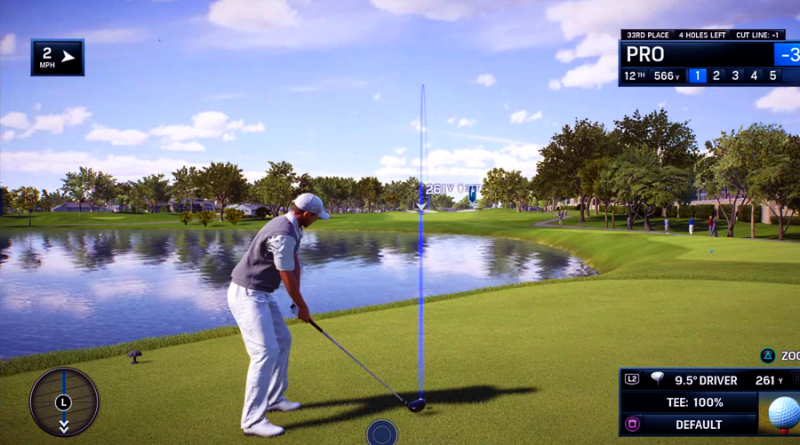 Players can create their own golf courses and share them with other players around the world. Players can also compete with other players from around the world in online multiplayer. And there is also online societies for players to compete in custom tournaments. The Links series of golf video games has a solid fan following, and this series was healthy competition with the Tiger Woods PGA Tour Golf games. It was originally created by Access Software and later by Microsoft Game Studios. What? John Daly has a golf video game? Yes… Yes, he does. And we are all better off because of it! John Daly’s ProStroke Golf was innovative by bringing motion control with PlayStation Move support. JD’s ProStroke also provided a first-person view for addressing the ball. This game offered innovative and creative gameplay which gave the player a unique gaming experience while still being a solid competitor for other golf games at the time. The list wouldn’t be complete without including Mario Golf. This title was a fan favorite and VERY well received by players and critics alike. While this game didn’t strive for realism in the graphics department, it did have some pretty sophisticated game mechanics. 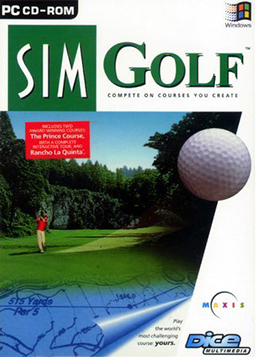 Sid Meier’s SimGolf is definitely one of the odd-ball on the list. But, it is one of my personal favorites, and it claimed MANY hours of my life back in the day. This game tasks the player with creating a golf course and then playing that golf course with their own player. 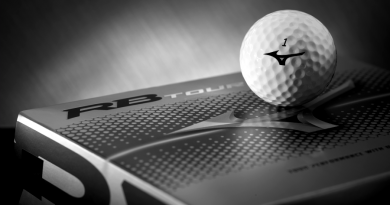 Creating the golf courses is easy enough, but making them successful is another story. Even though this game is different to other golf games in almost every way, it is super fun to play and was received well by players and critics across the board. 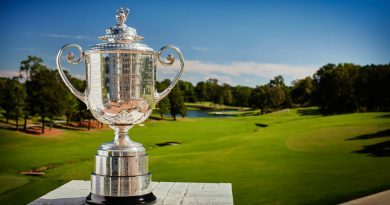 Rory McIlroy PGA Tour Golf is the next in the PGA Tour Golf series following the Tiger Woods endorsed PGA Tour Golf game titles by Electronic Arts. 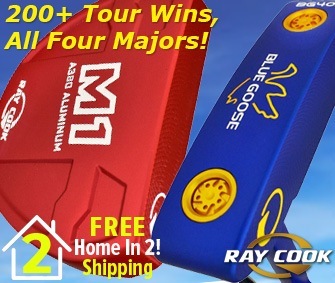 Before you go, don’t forget to check out our other recent posts like the Cobra F-Max Superlite Spotlight or the Tee It Up With Rock Bottom Golf – Golf Course of the Day post! You missed the best one out there. The Golf Club 2019 PGA Tour is better than any other. What the EA sports franchised missed, they got right. Hey George, you are correct! One of the best and hottest current golf games is The Golf Club 2019. It will be included in an upcoming article highlighting all the newest golf games. There is a VR version of The Golf Club series that will be included in that article as well. Stay tuned! Pingback: New and Upcoming Golf Video Games You Have to Play!